Audi has introduced the most efficient version of its A1 hatchback yet which emits just 99g/km of CO2 and averages a claimed 74.3mpg. Power comes from the existing 1.6-litre TDI but it's been improved thanks to an engine start-stop function and energy recuperation. 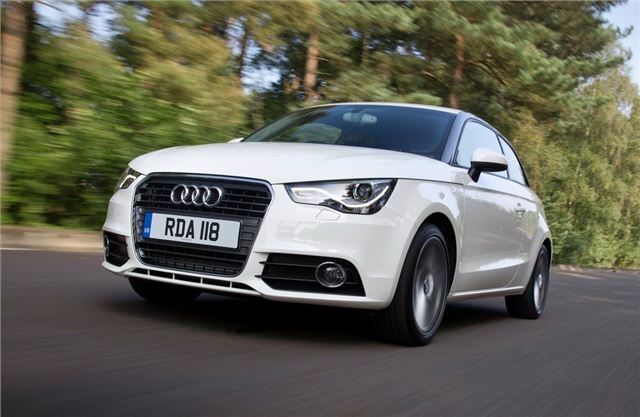 The lower CO2 figure - down from 105g/km - means this A1 is free to tax and is also exempt from the central London congestion charge zone. Fuel economy is also improved, up to 74.3mpg, yet performance remains respectable with a 0-62mph time of 10.5 seconds. The more efficient A1 1.6 TDI comes in all three trim levels – SE, Sport and S line. Standard equipment includes alloy wheels, remote central locking, air conditioning, electric front windows, electrically adjustable mirrors plus a six-speaker CD stereo with auxiliary iPod connection linked to a 6.5-inch retractable display screen. On the road prices remain unchanged for the SE, Sport and S line models ranging from £14,480 to £17,865. The A1 isn't the only Audi to emit less than 100g/km of CO2. There is also the three-door A3 1.6 TDI which also emits just 99g/km of CO2 and averages a claimed 74.3mpg while Audi's larger models are also available with frugal engines. The A4 TDI saloon emits 120g/km and returns a claimed 61.4mpg, while there's the new A6 2.0 TDI saloon with 129g/km and 57.6mpg plus the TT TDI quattro with 53.3mpg and 139g/km. Later in 2011 there will be the introduction of the front-wheel-drive A8 3.0 TDI, combining 204PS with the potential to cover up to 47.1mpg while emitting just 159g/km of CO2.